(3 - 3x3 openings, 2 - 3x5 openings, 2 - 3x2 openings) Straight-forward and economical. 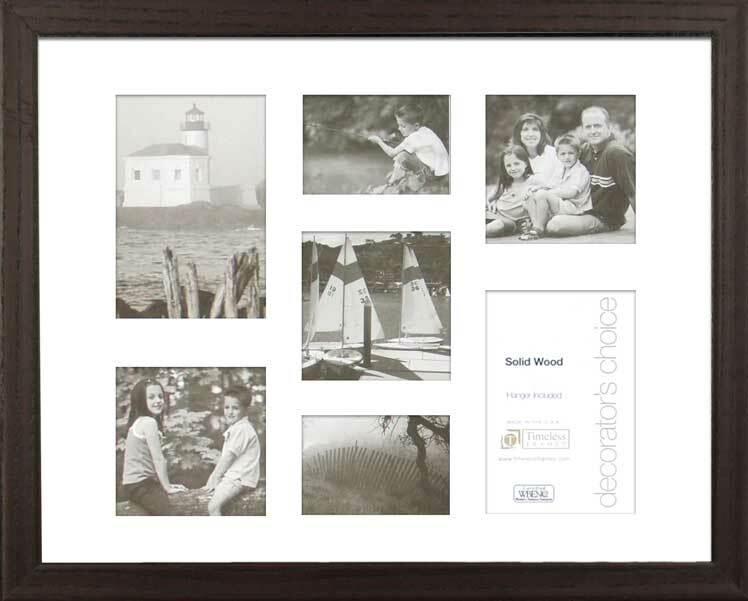 Showcase any document, print, or photograph and create an attractive, traditional look in any setting. This frame is made from Solid Wood.